● Quicker installation resulting in more revenue-generating operating time. Most sets have no spacers! ● Longer Hammer life resulting in less replacement costs and down time. 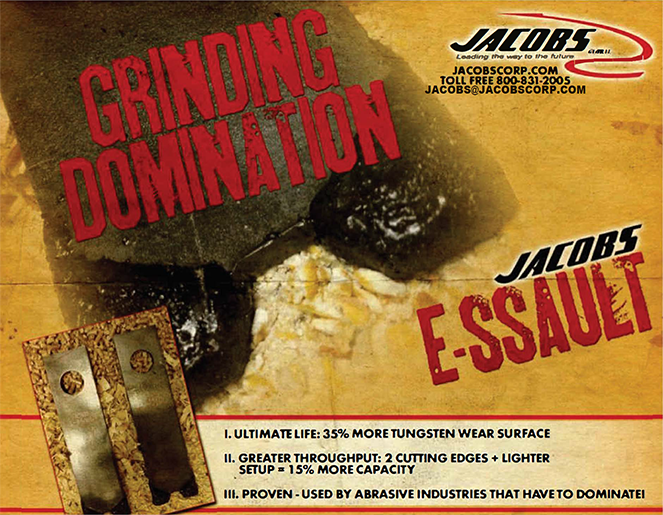 ● Finer corn grinds resulting in less fermenting time! Allows Ethanol to be produced quicker and more efficiently. ● Rods and Screens designed specifically for Ethanol facilities allowing for machine efficiency. 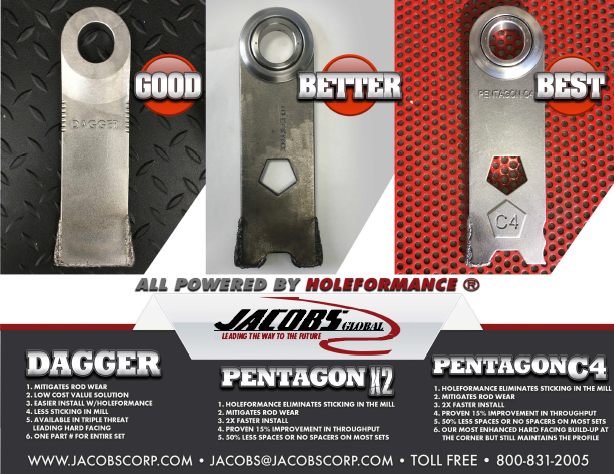 Jacobs offers standard hammers and three premium Hammer options for customer to choose from, based on their energy, output, and cost requirements. 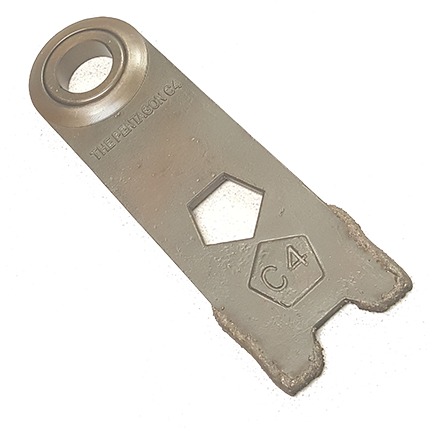 Our Sales Team is highly trained to discuss the benefits and options of each of the Hammers. Want this part in YOUR mill?